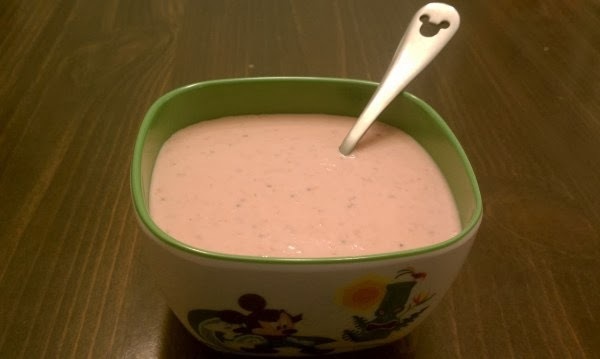 Picturing Disney: 1900 Park Fare Strawberry Soup Recipe! 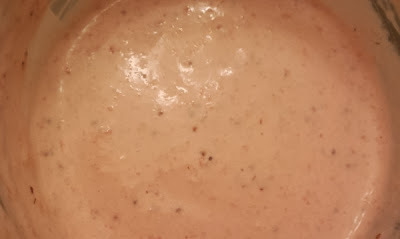 1900 Park Fare Strawberry Soup Recipe! The Strawberry Soup at 1900 Park Fare is divine. Want to make your own at home? It's hard to beat meeting Cinderella and Prince Charming! If something were to beat it it might be the banter between Anastasia and Drizella or the delicious food at 1900 Park Fare! Since I couldn't get Anastasia and Drizella to come home with me I decided to recreate the strawberry soup recipe that I found on All Ears! *The recipe calls for frozen strawberries but I used fresh ones and they tasted great. Beat slowly until well mixed and a smooth consistency. Chill; shake or stir well before serving. Eat with a Mickey spoon! Finding Nemo Squirt Cupcake Recipe! Picturing Disney Summer Book List!